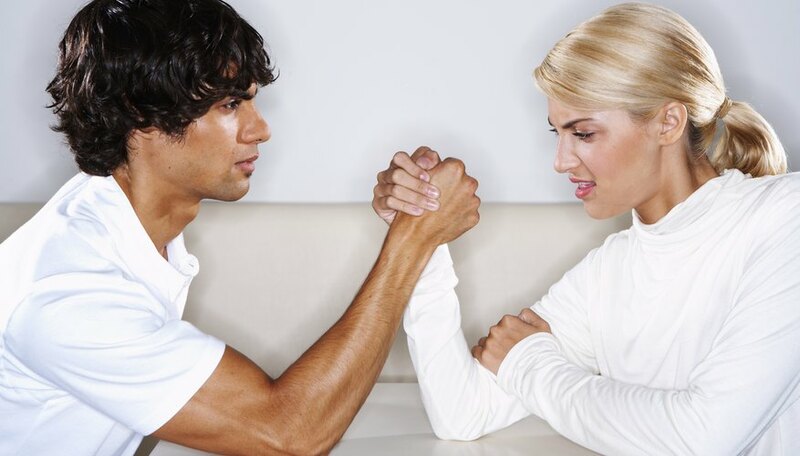 Men and women often complain of having a hard time understanding each other. The reason, as a bestselling book half-jokingly puts it, is that men and women are as different from each other as creatures from other planets. Yet when it comes to what catches their eye and makes their hearts beat faster, men and women may have some distinct differences. Men and have similarities when it comes to attraction, but look out for stark differences. Northwestern University social psychologists Eli Finkel and Paul Eastwick say that men and women are more alike than they want to admit. In a recent study, Finkel and Eastwick point out that both genders are initially pulled by physical attractiveness—followed by personality and then earning potential. But what sets them apart are the physical qualities that they look for in each other. Research at the University of St. Andrew’s reveals that while women are attracted to masculine facial features such as broad jaws and bushy eyebrows, women also have a hard time trusting masculine looks. That’s why, odd as it may sound, women also tend to be drawn to faces that are similar to theirs. Going by the evolutionary theory—which suggests that the only purpose of human attraction is biological reproduction—men are attracted to youthful appearance, as it indicates an ability to bear offspring. Women, on the other hand, do not put much weight on youth, because men are fertile at any age. The theory also suggests that men are drawn to women who have full breasts and ample hips, while women look for man with sparkling eyes, lean body and good height—qualities that also project sincerity, strength and the ability to protect. Both genders indicate an attraction to people who share common experiences and beliefs. And while a hefty bank account may not necessarily lead you to the man or woman of your dreams, being at the same socioeconomic level with a prospective partner greatly increases one’s chances for a relationship. Men and women view attraction on different terms. Women are more likely to enjoy the process of simply being with someone they're attracted to, while men look at what the attraction will create for the future. This difference means that men's and women's focus is on different pages when they meet someone they're attracted to. Nori Soriano has mounted advertising campaigns as a copywriter for 10 years in her native Philippines. She is also a screenwriter, with a Philippine romantic-comedy blockbuster under her belt. A graduate of journalism at the University of Santo Tomas, Soriano's articles have appeared in the university publication, and in BizNews Asia. Soriano, Nori. "Male Attraction Vs. Female Attraction." Dating Tips - Match.com, https://datingtips.match.com/male-attraction-vs-female-attraction-13443531.html. Accessed 18 April 2019.